Calling all chocolate lovers: On Saturday, April 20, from 10 a.m. to 2 p.m., April 20th from 10am-2pm, over a dozen Relay For Life of Aroostook teams will gather at the Caribou Middle School with one goal in mind: to sell chocolate to the masses. 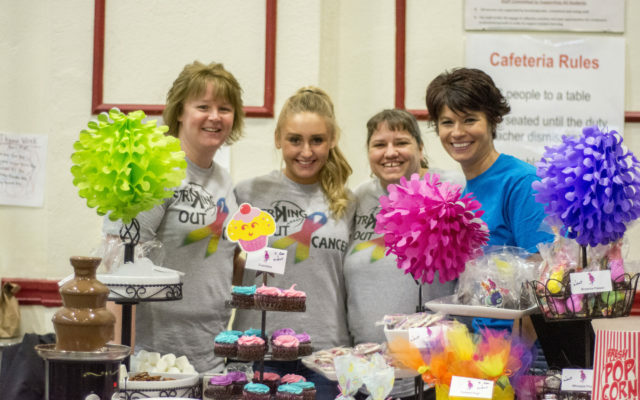 CARIBOU, Maine — Calling all chocolate lovers: On Saturday, April 20, from 10 a.m. to 2 p.m., April 20th from 10am-2pm, over a dozen Relay For Life of Aroostook teams will gather at the Caribou Middle School with one goal in mind: to sell chocolate to the masses. This is the event’s sixth year, and Relay For Life of Aroostook co-chairs Jordyn Madore and Chantal Pelletier hope this will be the most successful one yet. “We are so thankful to the community for coming out and showing such strong support for our event year after year,” said Pelletier. “The Chocolate Festival is one of our most successful fundraisers and is a great opportunity for our teams to come together to raise money, have fun and share our event with the community. Teams will set up tables filled with chocolate goodies for community members to purchase. Vendors will sell individual-sized treats perfect to fill those last-minute Easter baskets or for a sweet treat on the go. Organizers expect available items to include cookies, brownies, Oreo balls, truffles, whoopie pies, cupcakes, chocolate fountains, and more. For those who don’t want to bake for Easter dinner, full-sized cakes, pies, and desserts will also be available for purchase. In addition to chocolate items, teams will also have games to play and the Easter Bunny will make a special appearance. Admission is free and tickets used to purchase chocolate items and games will be available for purchase at the door. All proceeds will benefit the Relay For Life of Aroostook event and the American Cancer Society. For more information, contact Madore at Jordyn.madore14@gmail.com, or visit the event’s Facebook page: Aroostook Relay For Life.